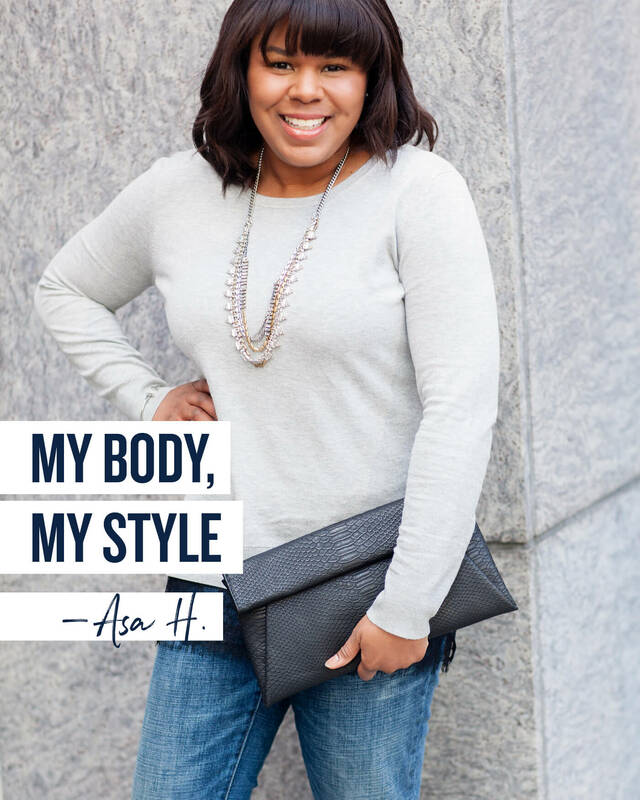 Keep reading to see how Asa of Lace & Pearls learned how to dress her body! My personal style has evolved throughout the years, but it remains classic and feminine. My favorite clothing pieces are a silk or chiffon blouse, a classic coat, and a great pair of jeans. Oh, and jewelry. I love a statement necklace or pendant. I also never leave the house without makeup. I feel like a few swipes of mascara and lipstick will make anyone look more polished. As I’ve gotten older, my shape has directed my style choices. Even when I was at my smallest, I had a belly. For this reason, I always wear a flowy blouse or top to minimize my waistline and large chest. Wearing a silky top is a great way to hide trouble areas. I have an athletic build—I’m large up top (broad shoulders, large chest, and wide back) and narrow through the hips. My legs are shapely and my calves are wide. I’m also petite in height, a little under 5’4. I learned to dress for my body type through trial and error. Truth be told, I used to be a bit of a shopaholic. I went through a lot of clothes to figure out what I like and what makes me feel the most comfortable. My styling tip is to always put your best foot forward, even if you’re wearing something casual. Get lots of rest and remember to hydrate!